The New York International Auto Show was launched in 1900 (true statement!) and continues to be a draw for both local New Yorkers and visitors from far and wide. The event is open to the public and boasts four floors of showrooms, featuring some of the newest models of cars, from luxury to sport and electric vehicles as well. The hybrid autos and electric vehicles seem to be front and center for many and environmentally friendly cars are on the rise. For the last 7 years, A Girls Guide to Cars has been hosting a diverse group of women to a VIP evening, the night before the doors officially open to the public. One of the most interesting facts to know about women and the auto industry is that women buy or influence the purchase of 85% of ALL cars, according to stats shared by the team at A Girls Guide to Cars. This is a stunning fact and an exciting one too, as we realize the significance that women have on the auto industry. Needless to say, the auto dealers, the car makers and industry leaders are welcoming women to the auto buying conversation and the New York International Auto Show is a perfect opportunity to learn, to share and to converse about the future of car design, the impact of environmental design and the continued spotlight on electric vehicles and hybrid vehicles. The event is really a special chance to hear from some of the biggest names in the industry with a sneak peek at what they are creating for 2020 and beyond. And, if you are a future car buyer, this event is certainly a great chance to speak to the experts about the brands they represent and have an in-depth conversation on why a particular car is the right one for you. The NYIAS is definitely geared towards an adult crowd, but in all honesty, cars are pretty exciting to kids. And the kids that were in attendance were so excited to sit in the driver’s seat of some of the most luxurious cars on the market and certainly in the world. So, consider bringing the entire family to this amazing showcase, wander the floors and get your cameras ready – you never know which celebrity may be in attendance! 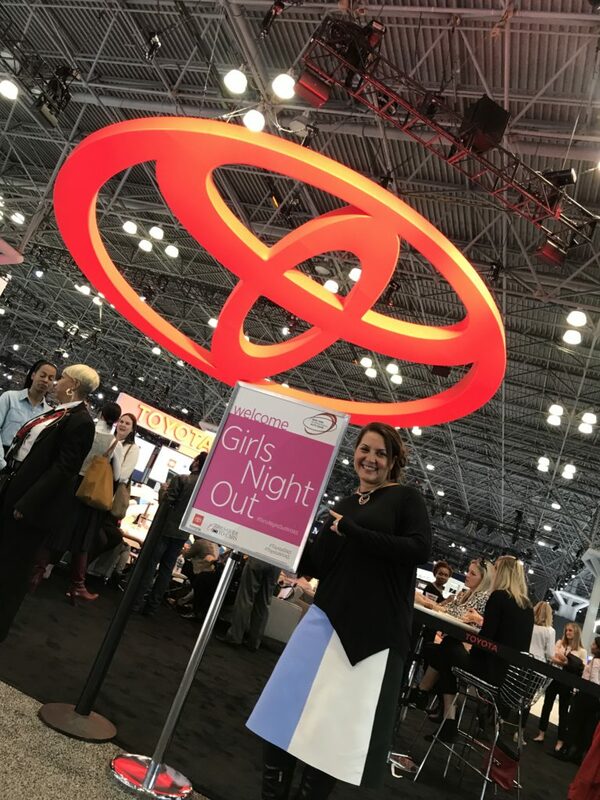 The team behind A Girls Guide to Cars hosted a Girls Night Out, hosted by Toyota and it was a huge success. And, on a personal note, I fell in love with the Toyota Highlander Hybrid. I loved the captains’ chairs, the ability to fit 7-8 people in the car, the blue tooth technology, the extra large sunroof and the pure luxury won me over. In 2018, the Toyota Highlander was named one of the “12 Best Family Cars of 2018” by Kelley Blue Book’s KBB.com. It continues to win safety awards and rave reviews and it was great to check it out, in real life. 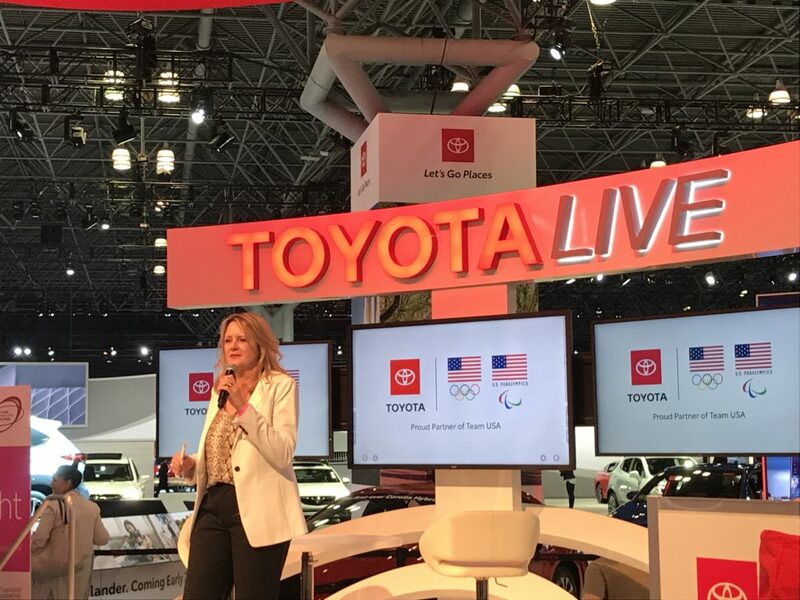 The New York International Auto Show is open to the public from April 19 through April 28th. Tickets are available on their website and at the Jacob Javits Convention Center. Be sure to visit their website for info on ticket promotions, promos with NY Waterway ferries and more. Sign up now in TriBeCa and get 20% off! Flexible registration: by the day or by the week! 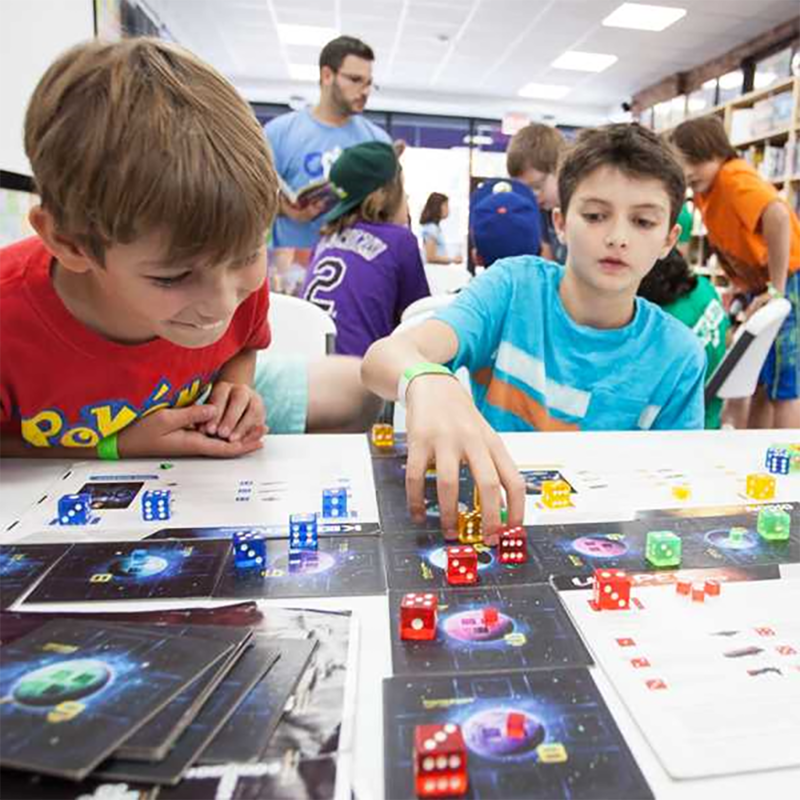 Brooklyn Game Lab unplugs your kids (ages 6 – 13) for awesome gameplay and more! Guided by caring staff, kids play chess, cooperative, and strategy board games. They create new games. They analyze game structure, tinker with rules, and collaborate with new friends. They play our live-action role play game for an hour outside! 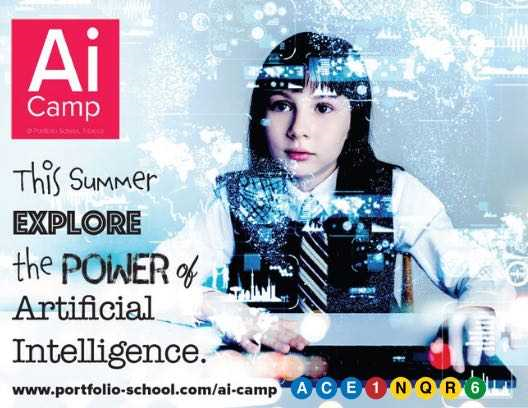 Kids receive merits for design, problem-solving, and other skills. Summer Lab runs from 9 am – 3 pm; extra hours available! 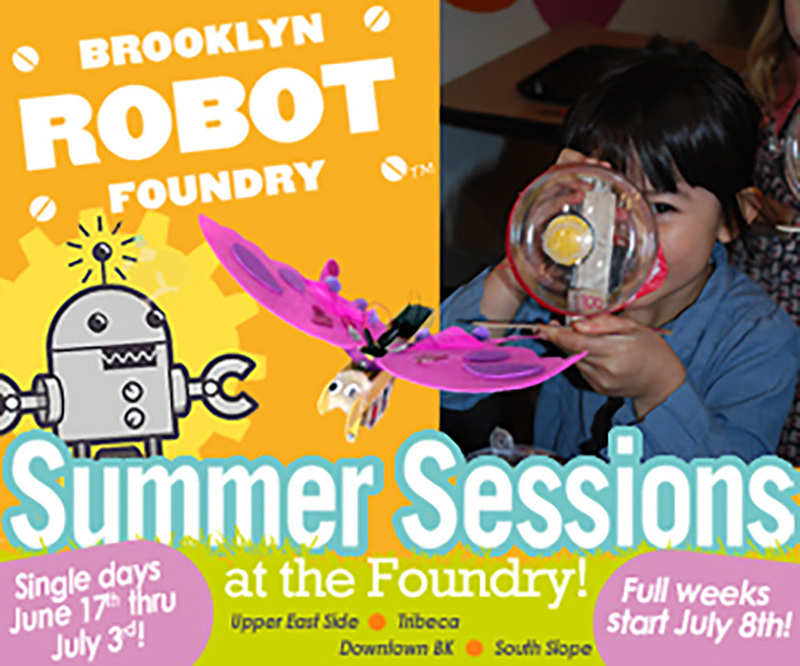 Summer Sessions at Brooklyn Robot Foundry are a fun way for kids to learn engineering, coding, and circuitry through hands-on building and design. 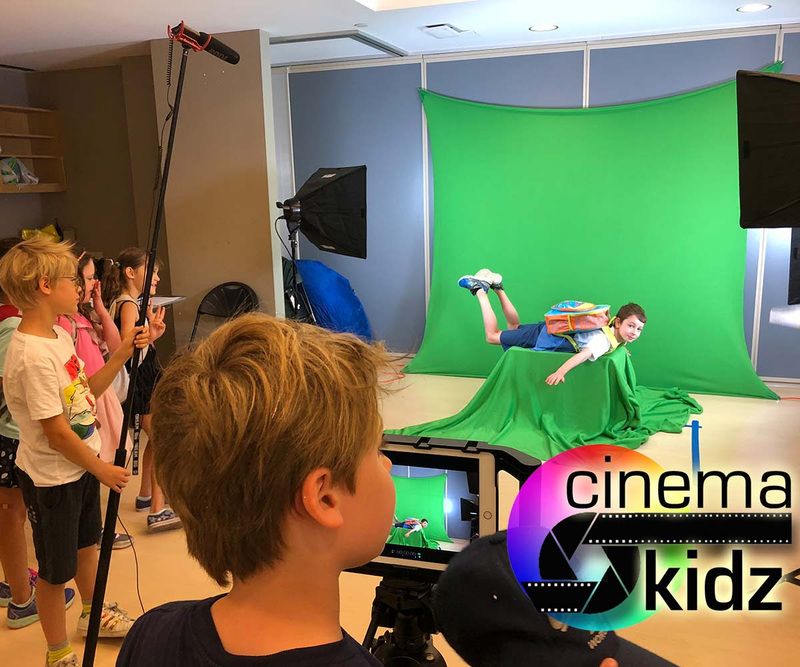 We have single, full-day sessions from June 17th-July 3rd for K-5th graders and our full week sessions run from July 8th through August 30th, featuring a variety of programs for rising K-7th graders! Choose from our Robot Building program, our Coding workshop, or our Inventors lab. Plus Girls Week returns! Hours: 9 AM – 3 PM, with an optional extended day until 6 PM daily. Address: 200 Church Street, Tribeca + UES & Brooklyn locations! Phone: 347-762-6840. Email: contact@brooklynrobotfoundry.com. 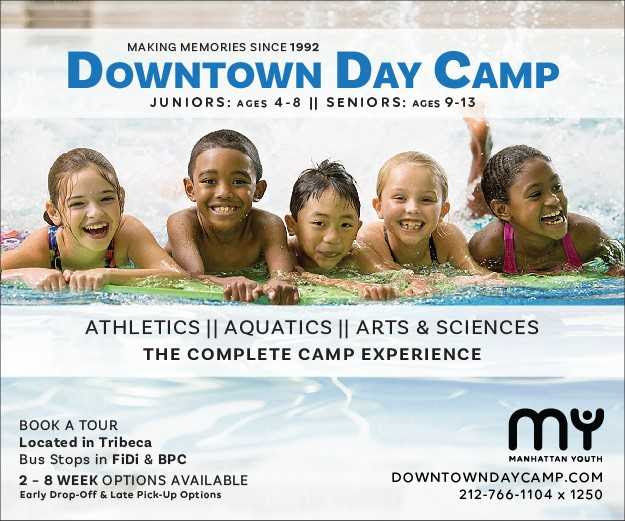 Exclusive Promo: “fidi2019” for $50 off each camp week. 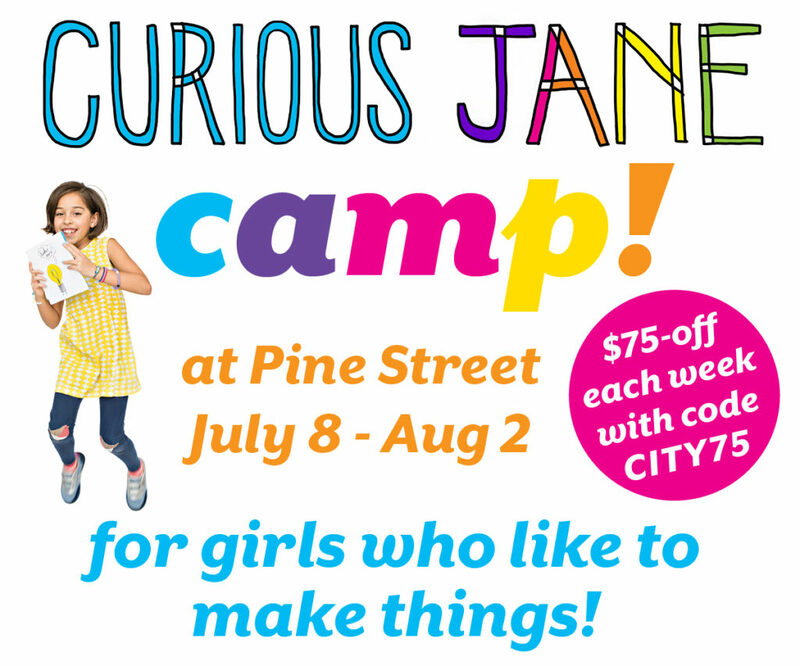 Curious Jane camp is for girls who like to make things! We offer weekly sessions with project-packed themes revolving around science + engineering + design. This summer, find us at Pine Street from July 8 to August 2. Cool classes for K-2nd-grade girls: Ooey Gooey Science, Game Time, Spa Science and Miniature. Awesome options for 3rd-6th-grade girls: Spy Science, Design Studio, Stop Motion and Wired 101.The day runs from 9am – 3:30pm, with extended care options from 8am – 5:30pm. $675/week. Use special discount code CITY75 for $75-off each week. Join us for Downtown Dance Factory’s highly acclaimed Summer Program! 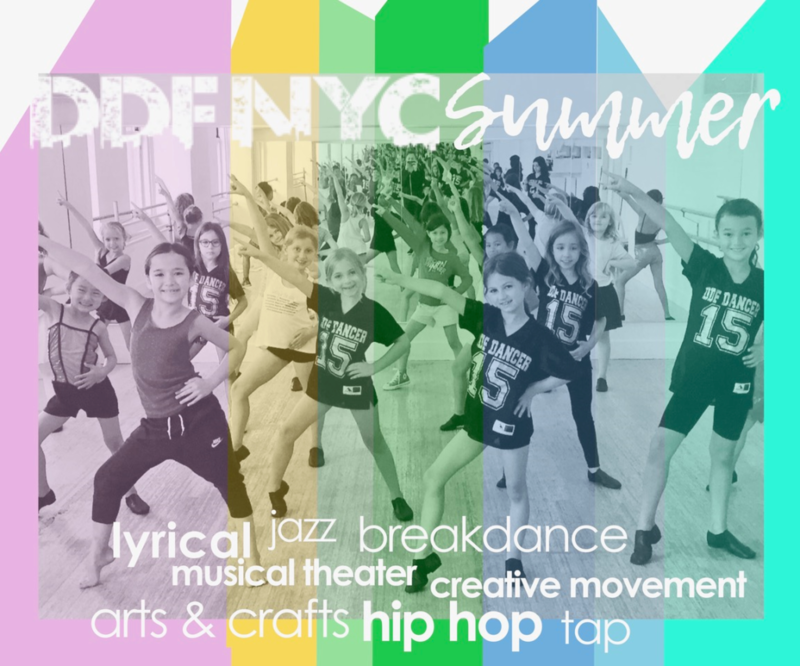 Six 1-week sessions filled with all styles of dance – jazz, lyrical, modern, tap, musical theater, hip hop, and breaking. Fun themes, Arts & Crafts – the fun is endless! Half-day program for preschoolers aged 3-5. Full-day program for kids entering kindergarten and up. We even have weekly TutuTots classes for kids from 18 months – 3 years. Full Day parents enjoy an end of the week mini-recital, and they always leave amazed! Book for 1 week, 6 weeks, or anything in between. 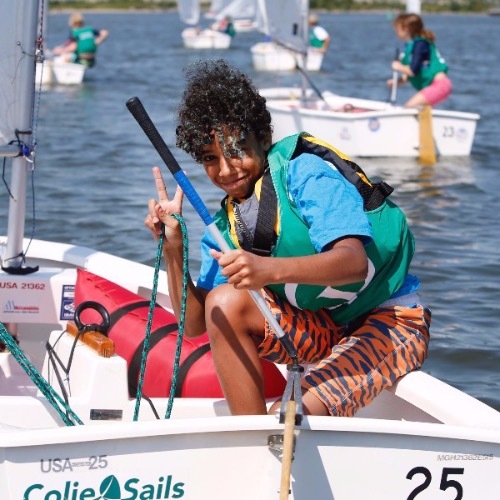 “Operation Optimist” is a weekly sailing day camp (M-F, 9-5) run by the New York Harbor Sailing Foundation. Learning to sail in an Opti is an amazing and unique experience for kids! Kids 8 to 13 years of age learn all the basics of sailing and build tremendous confidence throughout the week. Many sign up for multiple weeks. 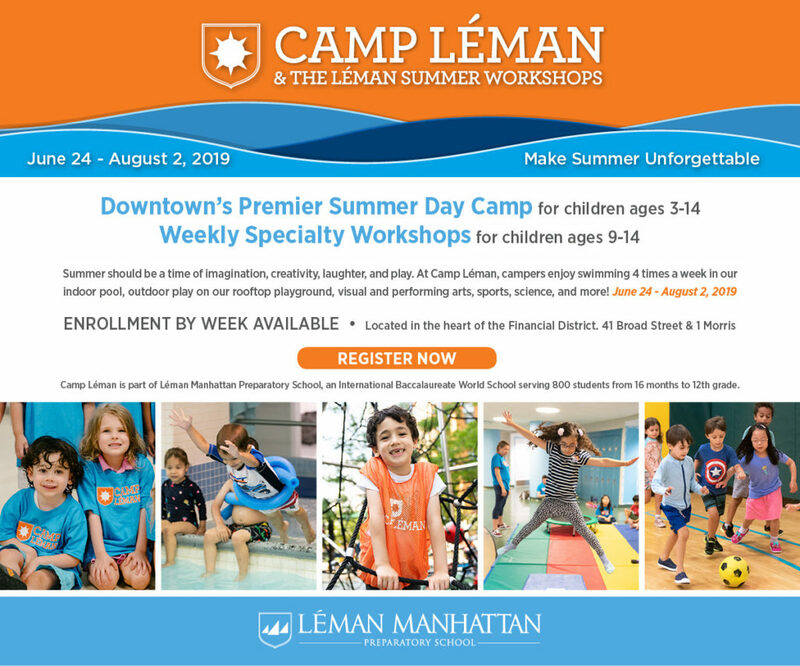 The camp picks up kids at both the WFC Ferry Terminal in Manhattan and the Manhattan Yacht Club in Jersey City. They are then transported by motorboat to the optimist docks in the protected waters SW of the Statue of Liberty. The Complete Camp Experience Since 1992. Aquatics, Athletics, Arts & Sciences. 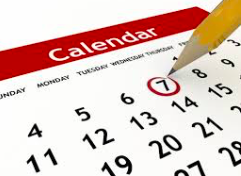 2 – 8 week flexible sessions from June 27th – August 23rd. Our private Tribeca facilities include a 75-foot pool, outdoor ball fields, arts and dance studios, gyms, and more. Supervised by experienced professionals, we offer the widest variety of activities around including: Swim Lessons, Field Sport Instruction, P.E. Class, Pier 25 Mini-Golf, Ooey Gooey Science, Craft Making, Visual Arts, Lego Construction, Movement/Dance, Animal Hour, Karate, Tennis, Music/Drumming, Weekly Trips, Crazy Hat Day & More! Bus Service Available. Book a Private Tour! Email: camp@manhattanyouth.org. Phone: 212-766-1104 ext. 1250. 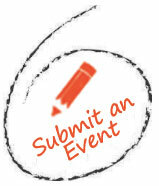 Receive the 15% Early Bird discount before April 15th! Join FiDi Families, as we welcome Primp NYC to the Seaport District! Enjoy an afternoon of Mommy + Daughter beauty at Primp NYC, a new beauty destination in the historic Seaport District. Guests can enjoy a complimentary beverage, browse the variety of beauty products and gift sets as well as enjoy beauty services by their talented team of beauty and wellness experts. Cost: Free to attend and stop in for a beverage. Exclusive beauty services for FiDi Families attendees! * Primp NYC is cashless. Credit cards only. Complimentary Rosé & Primp Pink Lemonade will be served. 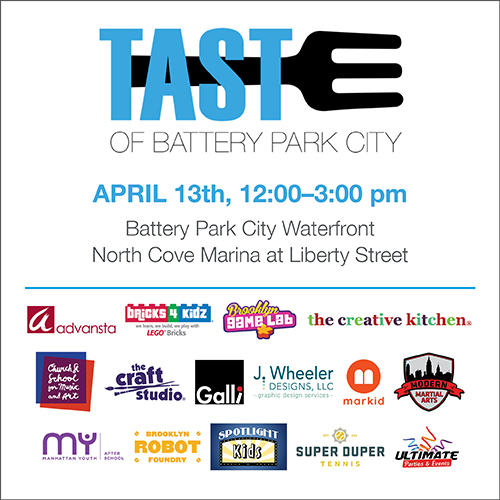 Join FiDi Families at the annual Taste of Battery Park City on Saturday, April 13th. It’s an afternoon of incredible food, great activities for kids and a great way to help raise funds for PS 89, a downtown public school. Each year, the event has grown and more and more incredible restaurants are on site, to showcase some of their best-loved dishes. And, the kids corner continues to blossom into a great spot for kids of all ages. Tickets are on sale now and can be purchased on their website HERE. 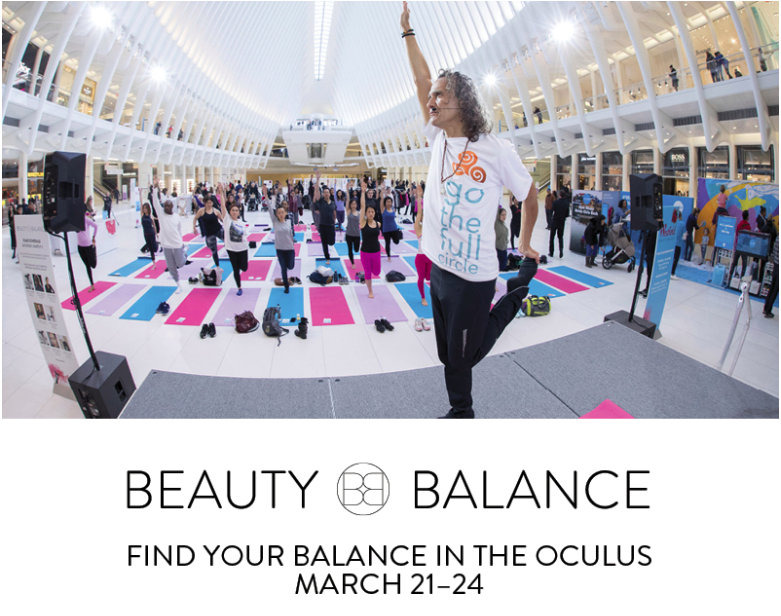 Join your neighbors this weekend at the Westfield / Oculus, in celebration of International Women’s Month with the return of Westfield Beauty & Balance programming, which will include free fitness classes on the Oculus floor as well as limited-time offers and exclusive in-store experiences in Westfield retailers. Simply RSVP and gear up for a fun experience in the heart of FiDi. All of the details for the weekend can be found on their website HERE.